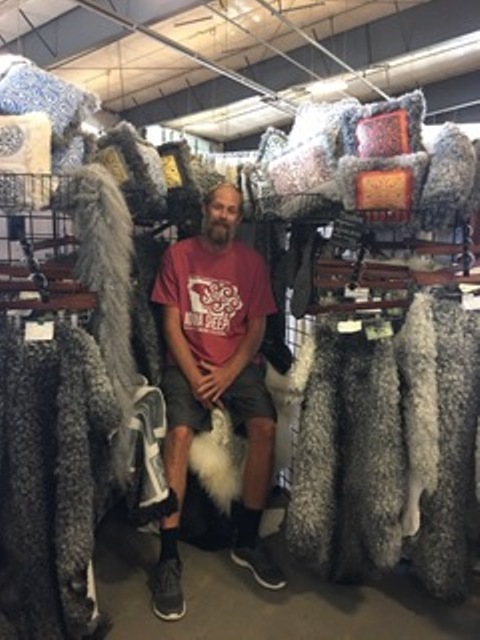 The Iowa Sheep and Wool Festival was fun! It was a new venue this year with everything under one roof. 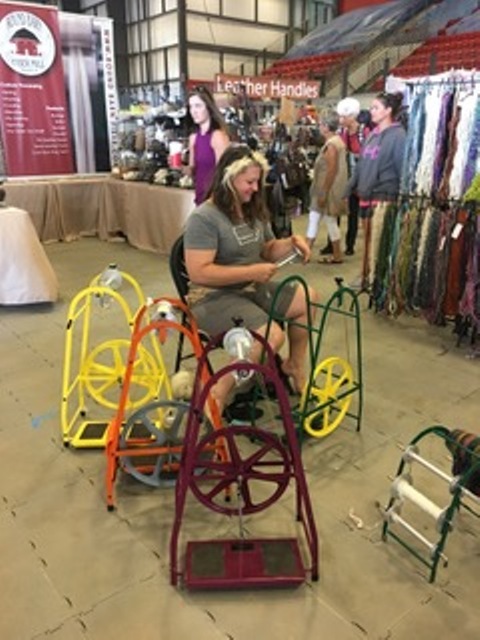 It reminded me of an alpaca show with sheep dog demonstrations and show classes going on in the same area as the vendors. The classes were held just off the arena and very handy for participants to come shopping afterwards. The fleece show had a large number of entries this year and the judge did open judging where she explained how she judged each fleece. It was interesting to see the score card and compare it with an alpaca one. Then there were the shoppers! There was a steady stream of them through the booths. Some were interested in raw fleece and could be seen carrying several. Others were more interested in yarn and roving. They also had large bags full of their purchases. Even the most committed sheep folks had to stop and pet the alpaca yarns. The comments are always the same – ‘it’s so soft’! Hopefully there were a few converts to alpaca among them. I love to watch people who come into my booth to see what they look at first. 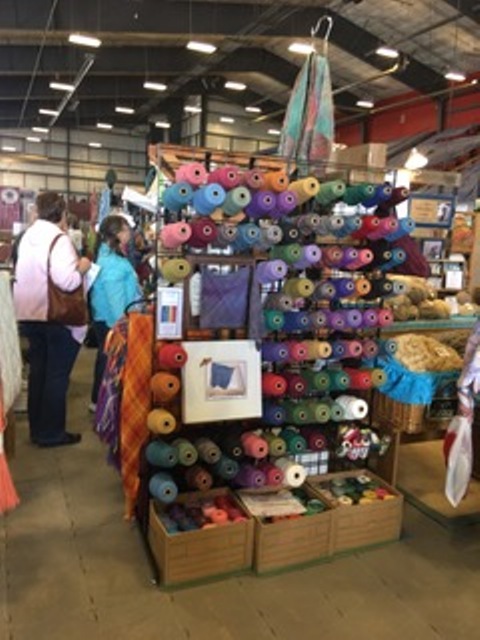 Some are drawn to the variety of natural yarns. Others immediately look at the colored yarn. It’s also fascinating to find out what aspect of fiber arts people enjoy. Lengthy discussions of knitting, weaving and spinning often ensue. One of the other enjoyable features of shows like this, is meeting up with other vendors that you met the previous year or at another event. 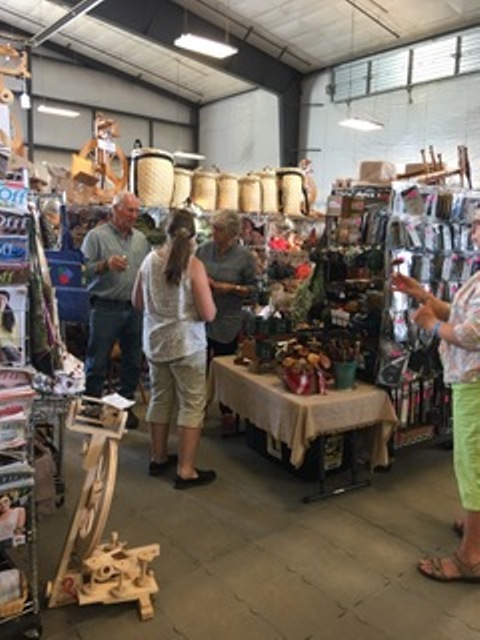 You get to catch up with their farm and business news and see new products they have introduced. Sometimes it is hard to be disciplined and not buy that lovely new yarn or roving!